Looking to build a private, customized Guatemala itinerary? You’ve come to the right architect. Rich pre-Columbian and Spanish colonial history is central to any tour of Guatemala. Begin in the big cities. The UNESCO World Heritage city of Antigua is studded with Spanish colonial and 18th-century baroque architecture. The capital Guatemala City, affectionately called Guate, is the place for culture, theater, museums, and art galleries. In the Peten region, succumb to the charms of Flores with its quaint cobblestone streets, and pastel-colored colonial-style buildings rising up from a central plaza. Make your way south to the colorful market in Chichicastenango, not just for exceptional weaves and traditional handicrafts, but also to experience indigenous Maya culture, and learn something about local legends and folklore. Situated in the dense jungle of a national park is Tikal, the most impressive Mayan city and ceremonial site in Central America, and possibly the highlight of your Guatemala vacation. Its towering temples and treasures lay hidden for centuries, until rediscovered in the 19th century. Also not to be missed is Lake Atitlan, a crater lake surrounded by volcanoes and lovely little villages and towns. Make time for a sunrise walk up to Indian Nose mountain, which is part of the Sierra Madre range surrounding the shimmering lake waters. A dip in the hot springs at Fuentes Georginas nearby is recommended, after which a wander through the city of Xela is ideal for a taste of local life. Along the Rio Dulce, you can experience the beauty of the Guatemalan wilderness with a boat ride or canoeing trip. Also in the highlands is the town of Coban, a convenient base for exploring the pools, springs, caves, and caverns of the surrounding region of Las Verapaces. By virtue of a rainy mist called chipi-chipi, this is a supremely verdant area in which excellent coffee and cardamom is grown. Guatemala is a vibrant, complex, and culturally rich country. To enhance your experience of its essence and variety, in the time you have available, you’d be wise to consult an Enchanting Travels expert. The ‘land of eternal spring’ is located in Central America, between the Pacific and the Caribbean at 15 degrees north of the Equator. 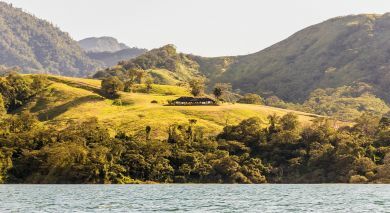 Bordered by Mexico to the north, Belize to its east, El Salvador on the south and Honduras on the southeast side, Guatemala’s proximity to the equator naturally means very little seasonal variation. 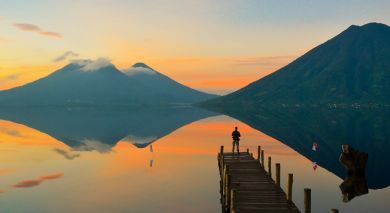 In fact, Guatemala has only two seasons – the rainy season and the dry season. Guatemala is a country renowned for its history and archaeological sites, but also its fresh clean outdoor adventures, its stunning scenery and rare ecological system, its coffee crops, and endless jungles and vast lakes. Discover the top eight things to do in Guatemala. There is a proud and very vibrant artistic scene across Guatemala. Much of the art in Guatemala has a strong colonial element to it and often represents those periods of history. The epicenter of this art scene of course, is Guatemala City – from its world class National School of Plastic Arts to the Mayan influenced street art everywhere. There are wonderful craft shops that sell hand cut carvings of Mayan gods, festive masks and characters from Guatemalan folklore. After all who wouldn’t want a handmade cadejo to take home? Guatemala may have a biodiversity unlike anywhere else, but there is also a distinct culture and history hidden in its far flung cities such as Flores. Commonly known as the gateway to the UNESCO protected Tikal National Park and Tikal, this island city is a beautiful place full of cobblestone streets and multi-colored houses. It’s perfect for some relaxation and reflection. Religion comes in many forms in Guatemala. 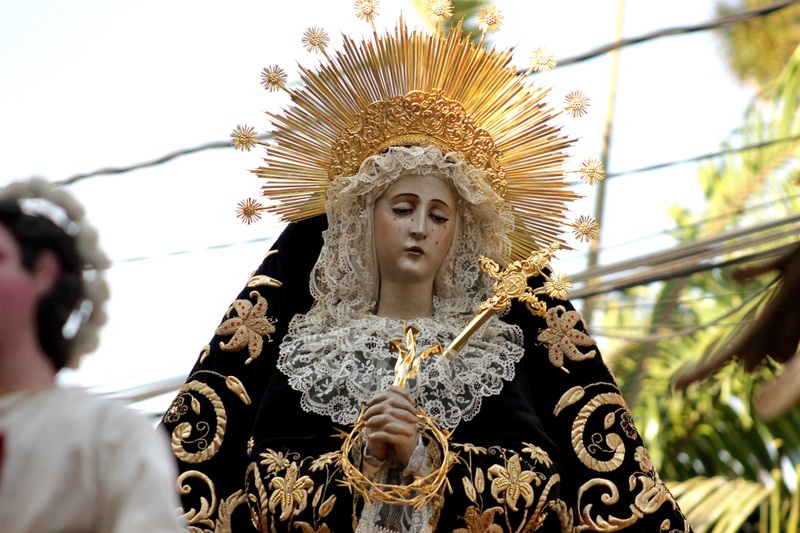 For those traditionalists out there, Christianity has prevailed since its introduction by the Spanish and has been interspersed with classic Mayan elements. From the Catedral Nuestra Señora de Los Remedios y San Pablo Itzá in Flores to the stunning Cathedral of Our Lady of the Conception in Escuintla, the cathedrals of Guatemala are remarkable monuments that stand the testament of time traversing the length and breadth of the country. However, if football were an actual religion in Guatemala, it would be the most popular. And the mecca of football stadiums here, The Estadio Nacional Doroteo Guamuch Flores, with a capacity of 26,000, sits proudly in Guatemala City. As a side note for the culture vulture, it’s a little-known fact that Guatemala is also the most successful national team when it comes to futsal; a variant on football played indoors on a hard court with five people to a team. Every country needs a soundtrack to their history and Guatemala is no different. Throw yourself into Guatemala’s vibrant music scene. 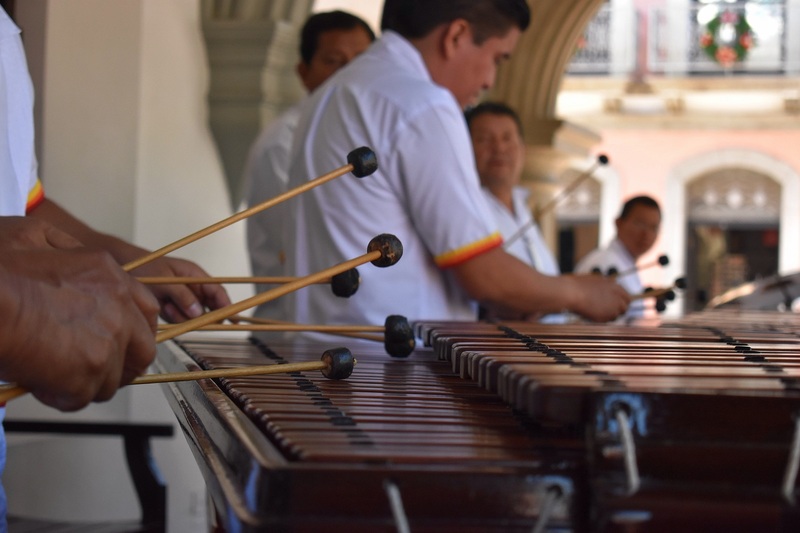 Guatemalans’ style of indigenous music blends together afro-Caribbean influence, Colombian and Mayan elements and can be traced back centuries. Guatemalans even adopted the West African instrument the marimba as their own. After exposure to European sounds in the 16th-Century, Guatemalan music has been evolving in new ways ever since. 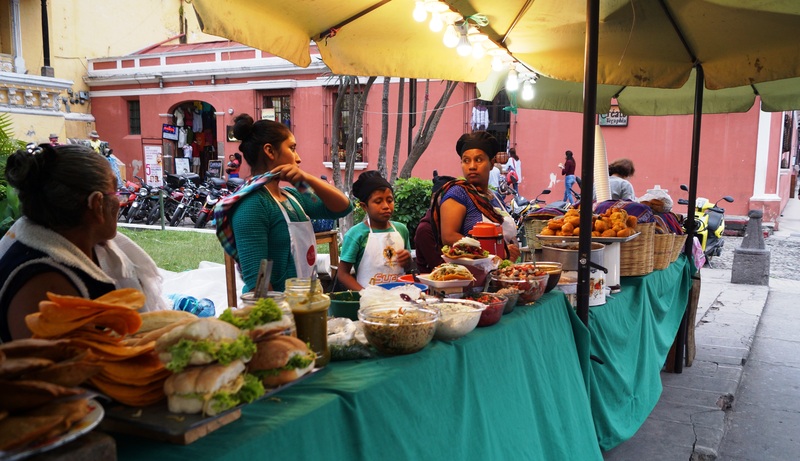 With touches of Mayan and Spanish influence, Guatemalan food is hearty fare with lots of vegetables, thick stews, sharp colorful flavors and textures, and a cuisine that is quite familiar to anyone who has tried Spanish or Caribbean food before. Guatemalans enjoy a good solid breakfast or brunch. Wherever you are, ask around for the desayuno tradicional. This is their version of a fry and is comprised of thick homemade sausages, eggs, onion and tomato, plantains, beans and possibly some avocado slices. Most Guatemalan cuisine has a heavy Mayan influence so beautiful spicy local chilies, black beans and maize are staples with almost every meal. In the charming city of Chichicastenango, you can expect hearty tomato-based stews topped up with various meats and freshly picked herbs. One of the great comfort foods of Guatemala is called kak’ik. In what could be a contender for their national dish, kak’ik is perhaps one of the more unique dishes with turkey as its main ingredient. This is boiled with a mix of herbs and roasted vegetables that have been pureed. This mix is transferred to the oven to cook further. Simple and delicious. Found everywhere, street food is another staple of Guatemalan life and often offers the perfect combination of Mayan and Spanish influence. Expect tostadas (there’s even a noodle variation), tamales, delicious fried plantain and lashings of freshly made guacamole. Without doubt the food that has traveled most outside Guatemala are pupusas. These are can be found in almost any restaurant or at food stall on the street. These thick corn tortillas are usually packed with ham, cheese, pork, re-fried beans, and fried until crispy. Perfect food for those on the go. 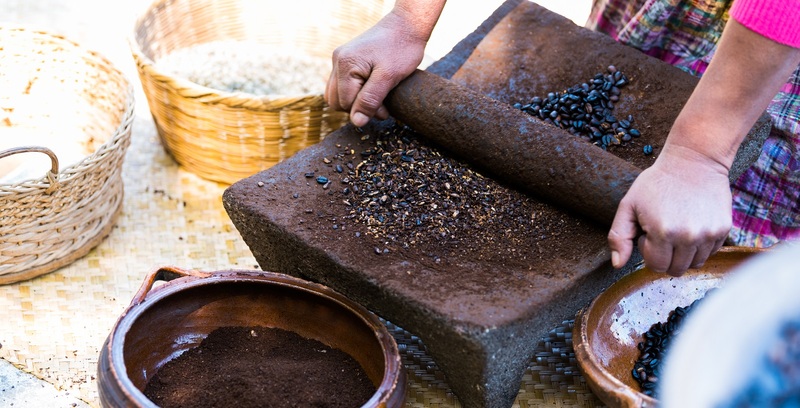 This country is also home to cardamom and coffee plantations where the sights and smells of real Guatemala come alive. Guided tours are common and not only can you smell the intoxicating aromas in the air but you can taste the sharp coffee product right there from crop to cup. The chocolate in Guatemala is world-renowned and rightfully so. It is jam-packed with flavor and its purity means it has a deeply aromatic smell to it. So how do the locals do it? They mix it with a bit of boiled water and stir in some cinnamon. Due to its richness, you’ll never even need milk! 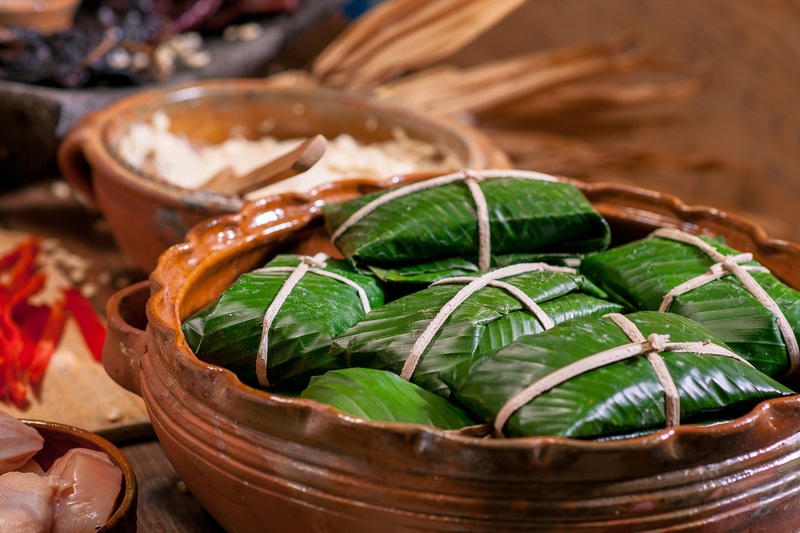 Explore the richness of Guatemalan cuisine on your private tour with our experts. We share the best restaurant tips and reserve a table for you too! Guatemalan civilization can be dated back as far as 6500 BC, before the influence of the Europeans in what was known as the Pre-Columbian era. Belief in a higher power was instrumental to the progress of the Guatemalan and Mayan civilizations, which flourished as the cities grew. This territory of what would become modern day Guatemala, once formed the core of the Maya civilization, which extended across Mesoamerica, covering not just Guatemala but all of Belize and sections of Mexico, Honduras and El Salvador. 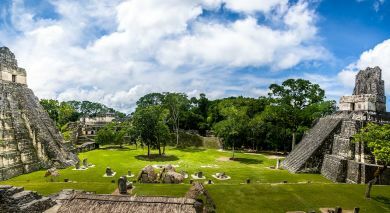 Much of this classic Maya Civilization would disappear in the Classic Maya Collapse, which many believe, was due to drought and famine. The history of modern day Guatemala began in the 16th century with the arrival of the Spanish colonizers. Indigenous tribe were pitted against one another and the Mayan civilization gradually fell under the power of the invaders. After this, Guatemala became part of the vice-royalty of New Spain. Guatemala attained independence in 1821 as part of the Federal Republic of Central America, which dissolved by 1841. From the mid to late 19th century, a fractured and unstable Guatemala experienced continual secessionist rebellion and civil unrest. The early 20th century marked the beginning of another period of turbulence as Guatemala was ruled by a series of dictators backed by external interests. In 1944, authoritarian leader Jorge Ubico was overthrown by a pro-democratic military coup, initiating a decade-long revolution that led to sweeping social and economic reforms. Yet another revolution and dictatorship later, Guatemala endured a civil war until 1996, with much violence inflicted on the Maya population by the military. Since then, the country has experienced a period of calm since then and crime has steadily declined, thanks in part to the 1996 United Nations-negotiated peace accord. In the ensuing years, Guatemala has seen a period of both economic growth and several successful democratic elections, steadily becoming a safe and relaxing destination for tourism. Guatemala’s Pre-classic period (2000-2500 AD), saw a flurry of activity, leading to the development of complex societies marked by a strong belief in religion. Evidence of this still exist today in the form of referential masks, monumental heads, and various ceremonial sites for you to uncover. The most famous architectural site in Guatemala, Tikal, dates back to 800-900 AD. Declared as a UNESCO World Heritage site in 1979, it served as the economic and political center of the Mayan world. Situated to the north in a vast National Park, in the depths of a lush jungle, you can climb up steep steps that lead to thousands of limestone structures or towers that were once palaces, residences, courts and tombs. Set in the highlands area, Iximche is another such site, serving as the capital of the south until the Spanish invasion in the 16th century. 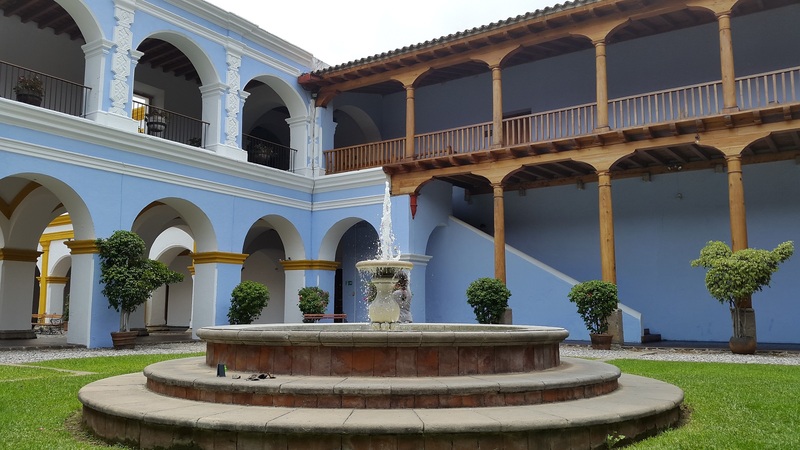 Not only did the Spanish colonial period influence Guatemala’s language, but also its art, religion, music and architecture. The combination of classic Guatemalan and the baroque, Christian-themed Spanish style is known as Mudejar, and you will find the best example of it at the Spanish capital of Villa de Santiago near Iximche. After various clashes, Antigua became the beacon of the Spanish empire and it’s beauty and style protected as a UNESCO site. Discover it’s standout landmarks with us, including Antigua Cathedral and La Merced Church – stellar examples of this unique architectural style. 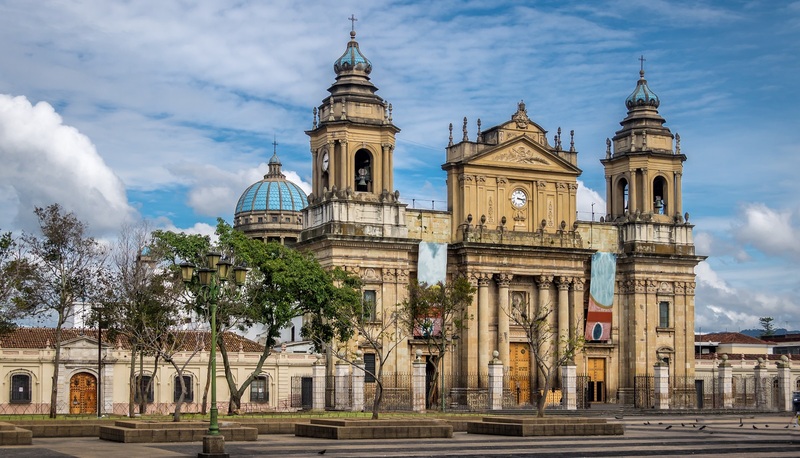 In 1773 after a devastating earthquake, the Spanish capital was moved one final time to what is now the capital city of the country – Guatemala City. Popular with tourists and architecture enthusiasts alike, explore its architectural landmarks and beautiful colonial buildings. If you enjoy colonial buildings steeped in history, the ancient cities of Chichicastenango, Xela and in Flores are tailor made for you. Flores in particular, built on an island in Lake Peten Itza, was originally built on the last independent Maya state to hold out to the Spanish. Walk in its famed narrow lanes on your tour, past cobblestone roads and colorful housing that have stood the test of time. Guatemalans love their festivals and they have many of them! So many in fact that when one ends, the preparations for the next one are only just around the corner. Here are some of the most important celebrations and events in the Guatemalan calendar. Each Holy Week, the cobblestone streets of Antigua are covered in rich carpets, but not the carpets that we are used to! These unique hand laid tapestries known as alfombras are made from colored sawdust, as well roses, palm leaves and other organic materials. Meticulously crafted, they feature designs that mingle Mayan and Christian symbolism. Join the monks and nuns as they use these intricate carpets to form the processional route through the streets, hefting half-ton sculptures of Mary and Jesus on their shoulders. Independence Day is not just the celebration of a nationwide movement but also a time to remember one very important woman: María Dolores Bedoya. On September 14, 1821, she ran through the streets of Guatemala with a lit torch, igniting the people’s hope for liberation after 300 years of colonial rule. Each year you’ll see runners (called antorcheros), clad in white shirts hoisting the national flag, and relay a lit torch from Guatemala City to Cartago, the old colonial capital of Costa Rica. In Santiago and Sumpango Sacatepéquez, barriletes gigantes, or giant kites, are erected in the local cemeteries on the Day of the Dead. You’ll see these kites flying high overhead, some over 40 feet in diameter and hand painted with bright neon colors. Made of paper and bamboo, the kites are believed to communicate with deceased loved ones and ward off evil spirits from their graves. Another vibrant and raucous celebration, the Feast, or Festival, of St. Thomas is a week of parades, traditional dances, and fireworks culminating with the palo volador or flying pole dance. Two men ascend a wooden pole as high as 100 feet, tie ropes around their waist, and then leap off, spinning to the ground. This dance is a ritual Mayan request for rain and fertility of the land. No matter where you go, it always pays to do a little research and consider local advice about the city you are visiting. Click on the link below for a few general tips to keep in mind for a safer, more comfortable trip. Guatemala has very specific guidelines for those who wish to visit. Here is an overview on some of the important aspects of traveling in Guatemala. Language: Spanish is the official language of Guatemala and is spoken by about two-thirds of the population. There are 23 Mayan languages spoken widely throughout the country. The use of English is not common, however you can typically communicate in English at most hotels and restaurants in tourist destinations and big cities. It is important to note that nearly one-third of the population in Guatemala are unable to read or write. Communication: You can easily purchase a prepaid SIM card upon arrival the international airport as well as in the big cities. In the rural areas, the reception may not be the best. WiFi connectivity is available only in some hotels and can be slow sometimes. Vaccinations: This one is important. One can easily pick up illnesses from contaminated food or water so all travelers should make sure to have their hepatitis A and typhoid vaccinations. There is no risk of yellow fever in Guatemala however. The government of Guatemala requires proof of yellow fever vaccination only if you are arriving from a country with risk of yellow fever. The Zika virus is a risk in Guatemala and therefore pregnant women should not travel to Guatemala, as they are extremely vulnerable to it. Altitude sickness: People climbing volcanoes may experience altitude sickness. Usually altitude sickness only affects those who climb above 2500 meters (8200 feet) elevation. 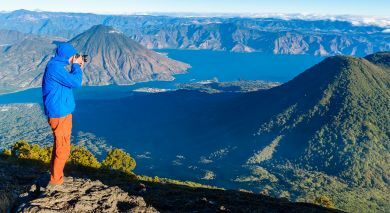 Conversely, at lower altitudes such as those of Antigua or Lake Atitlán (1600 masl/5200 feet), people often notice that they become short of breath with far less exertion than at sea level. The winding roads in the highlands can also make you feel dizzy. Currency: First introduced in 1925, the currency of Guatemala is the oldest legal currency still in use. It is also one of the most stable. The currency is called the Quetzal, named after the national bird of Guatemala – the colorful quetzal. During the Mayan era, the tail feathers of the Quetzal were used as currency, and thus, the modern currency depict a unique connection to the ancient one. Credit cards: In the cities, credit cards are widely accepted in most shops, restaurants and other business establishments. While this is the norm for all big cities, keep in mind when visiting villages and markets that you should always carry some cash with you. 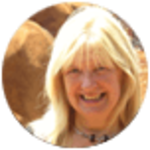 You Travel Consultant will be happy to advise you further on travel tips and plan your vacation according to your interests and preferences. Contact us today for your obligation-free, custom itinerary.